Most people would do just about anything to meet their celebrity crush and most people dream of the day it happens, just like Courtney Miller from Smosh did. .. until it actually happened. 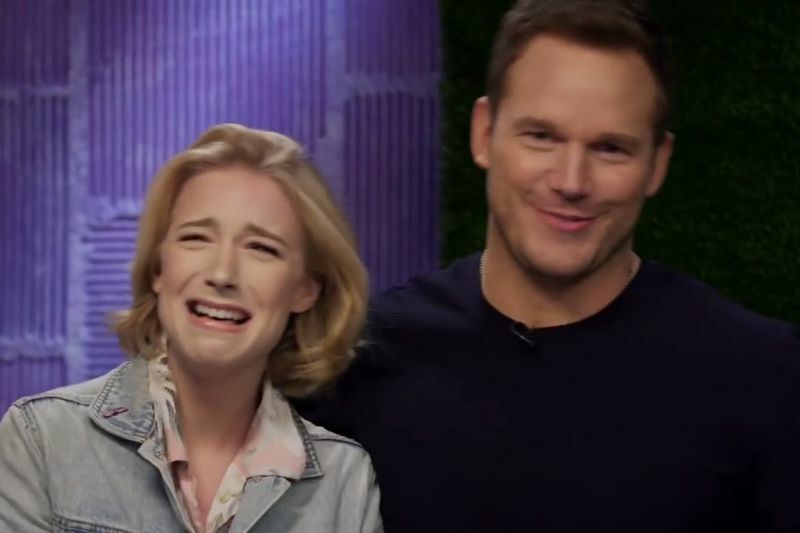 Courtney's ultimate celebrity crush is Chris Pratt but she had absolutely no idea that she would be meeting him at all until he was invited onto the game show with her. This was no regular game show, which Courtney quickly found out when they started the round of "you posted that". Of course, all of Courtney's posts about Chris Pratt seemed to resurface and she slowly begins to die inside when Pratt finds out exactly how huge Courtney's crush actually is (and how often she actually tweets about it). It becomes quite clear that the competition is rigged and Courtney was basically set up to read her own... thirst tweets out loud to Pratt which was painfully hilarious. Luckily Pratt seemed flattered but we are pretty sure that this was simultaneously the best and worst day of her life! This is the stuff that fuels nightmares, ladies and gentlemen! Video: Ladies Who Had The Balls To Ask Their Crush Out!